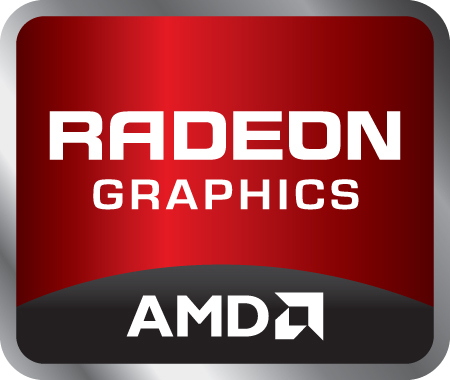 The AMD Radeon R9 M390 is a mobile graphics card from 2015 and positioned as a fast mid-range GPU. It should be based on the the old Pitcairn chip (e.g. in 2012 used in the desktop 7870 graphics card) and offers 1024 shader cores clocked at 958 MHz. Furthermore, 2 GB GDDR5 dedicated graphics memory are connected via a 256 Bit memory bus. The graphics card is used in the Apple iMac 27-inch late 2015 (mid range model). The performance of the Radeon R9 M390 slightly above a Nvidia GeForce GTX 960M or 870M but still beyond a desktop Radeon R7 370. Therefore, demanding games of 2015 may only run in medium settings at up to full HD resolutions fluently. The native 5K resolution of the iMac or even the perfectly scaled 2560x1600 will be definitely too much. The AMD Radeon R9 M375 is a dedicated higher mid-range graphics card for laptops. It is still unclear if the M375 is based on a new chip (Tonga derivative with full DirectX 12 and Vulkan support) or the old Cape Verde chip from 2012. The core is clocked at relatively high 1015 MHz, however, the bottleneck may be the use of slow DDR3 graphics memory (128-bit). If slow DDR3 graphics memory is used, the performance should be somewhere close to a Radeon R9 M270 (see for gaming benchmarks). Therefore, demanding games are running in low to medium details. The 640 shaders can be used with OpenCL 1.2 for general-purpose calculations (as 10 compute units). Features of the R9-M375 include video decoding for MPEG-4 AVC/H.264, VC-1, MPEG-2, and Flash directly by the AMD GPU. Multi-View Codec (MVC) and MPEG-4 part 2 (DivX, xVid) HD videos are compatible as well. The R9 series also supports automatic graphics switching between the integrated GPU and discrete GPU. Called Enduro, the technology supersedes AMD's Dynamic Switchable Graphics and is similar to Nvidia's Optimus. Furthermore, the M375 can directly support multiple monitors using Eyefinity Technology if Enduro is disabled.